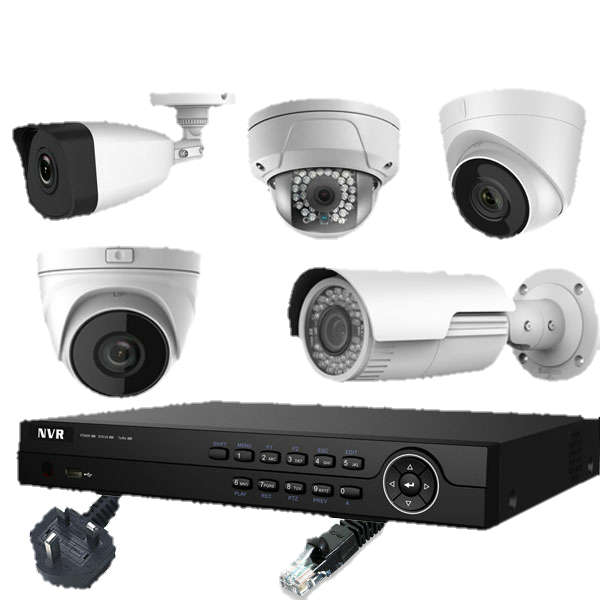 We offer a wide range of top quality CCTV systems aswell as installation, setup and professional advice on which system suites your needs and budget the best. To produce the best possible image at different distances and widths, use Cs-mount cameras in conjunction with an auto iris or direct drive lens. Our cameras have high specification imaging and cover all applications and light conditions. These types of cameras can be used for day/night, indoor and outdoor applications and should be placed in outdoor-housings to insure weather-proof operation. Fixed-Lens cameras are used in covert cameras and in many cases these cameras can be concealed in plaster board or ceilings. PIR cameras are available as working models and can be incorporated in an alarm system. Bullet cameras are sealed for added weather protection. Camera illumination and image quality has increased dramatically. Applications vary, using fixed lens type IR camera with 15m to 25m infra red. The more complex camera will provide an IR spread of up to 30m with an IR cutter to remove any infra-red during day time resulting in day/night control at high resolution. High speed dome camera, supplied complete with top quality auto focus zoom lens, features robust precision mechanics for quick change of view of field. These cameras are ideal for tracking people or objects at distances. With the propper equipment these units can be used indoors and outdoors.